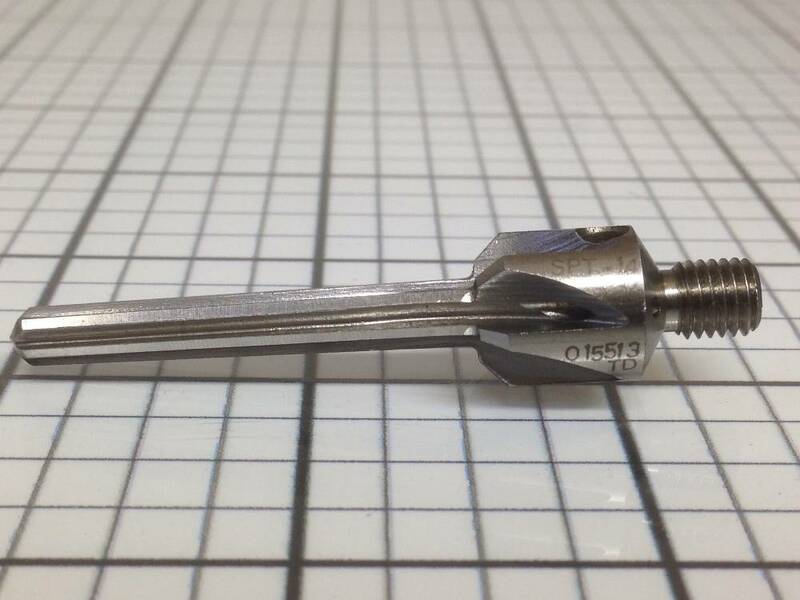 USED Taper-Lok Reamer Countersink SPT-14-32 015513TD CO.
USED, acquired from family member of retired machinist, no spec sheet, life cycle unknown although cutting edges still look and feel sharp, missing original packaging. 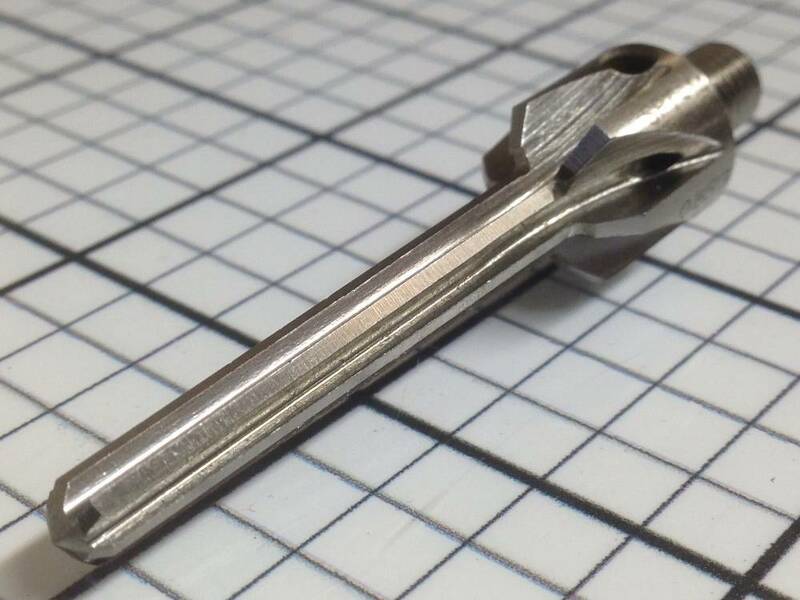 Listing is for one (1) each taper-lok reamer with countersink, primarily used in aircraft construction for producing finished holes for taper-lok fasteners, for use in previously drilled/punched holes, comes exactly as shown in the photo. 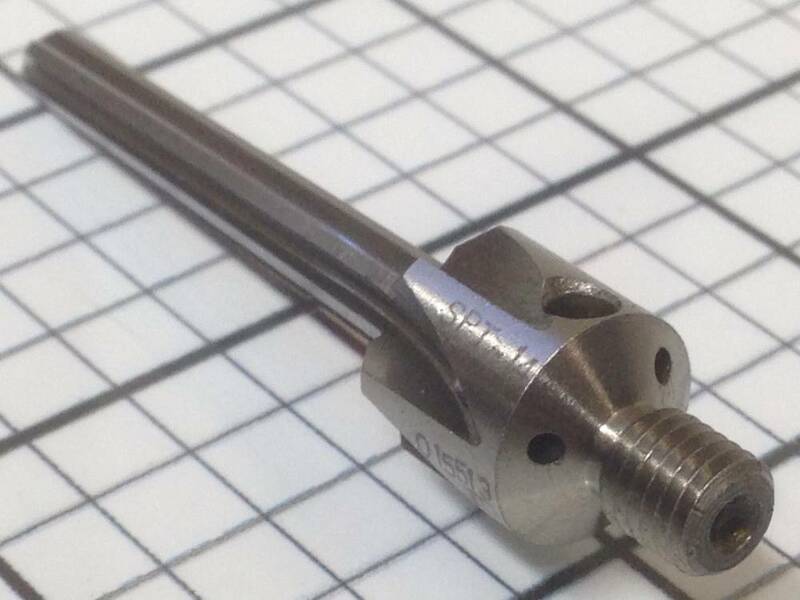 • Product Markings Include: SPT-14-32 015513 TD CO.